Just want to say how thankful I am to have people still reading this here little ole' blog of mine! I hope you have full bellies and full hearts today! We are heading to my in-laws so not much meal prep for me! I'll help my mother in law as much as I can but it's going to be pretty laid back. 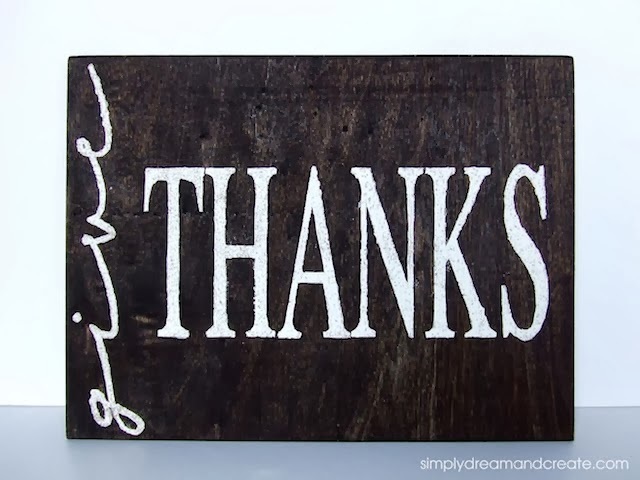 As always, thanks for being here! 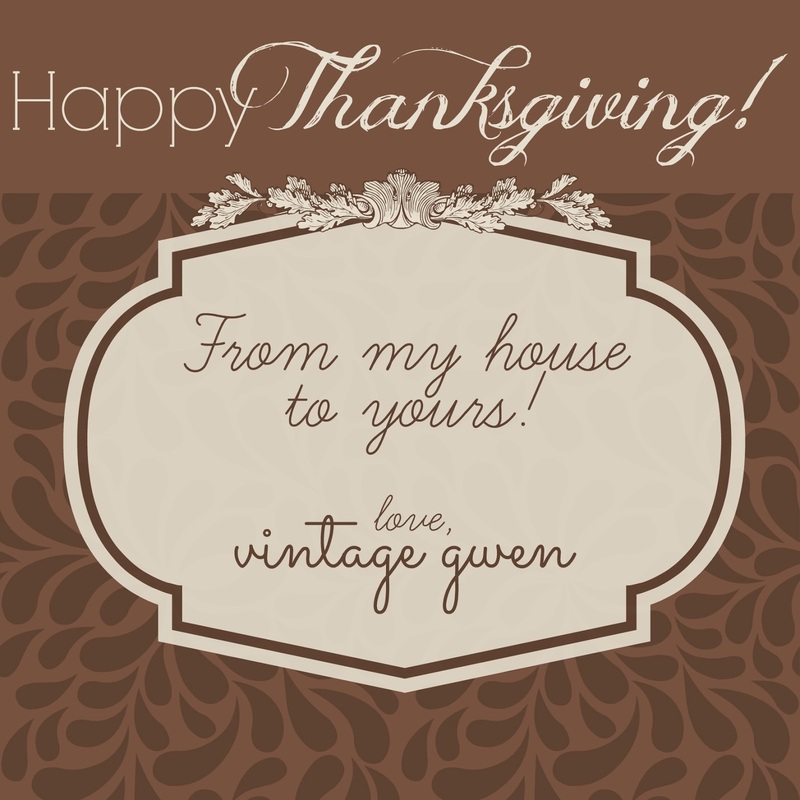 Thanksgiving Blessings to you! Well I'm trying to not let the holidays sneak up on me but I'm not sure I'm doing a very good job at it! 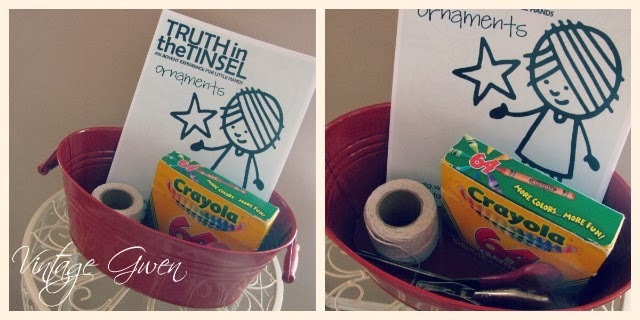 Still don't have next week plans ironed out and nor do I have how I want to use Truth in the Tinsel with Lil' Hunkie for Advent. Here's a brief recap of how we've used it so far.. 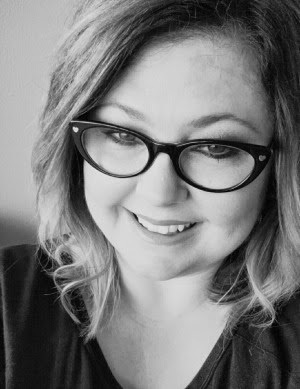 If you're new here, Truth in the Tinsel is a ebook written by Amanda White that guides you taking your children through Advent....learning about Jesus. Last year she incorporated the printable ornaments and so Lil' Hunkie and I just colored them, cut and put them on the tree that was in his room. And then I still have that book I made the first year! Included in the story of Jesus is a daily craft which I'm thinking about doing or I was thinking about making a coloring book...I can't decide and time is running out! Lil' Hunkie loves to paint so I know he would love the crafts. What I have decided on, is offering you a discount code for the ebook!! 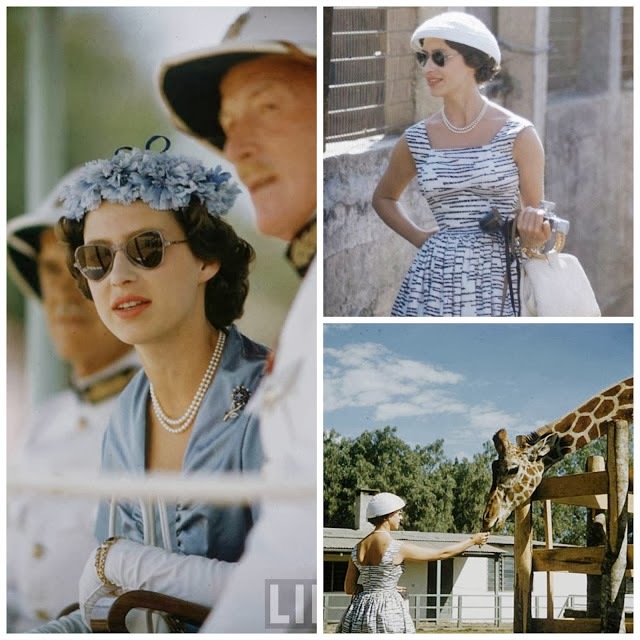 Just use code VINTAGEGWEN at check out to get 20% of the ebook. How do you plan on going through Advent? Excited to have a guest all the way from the UK today! Jessica blogs at 4 Interior Design and shares some lovely interior design ideas. 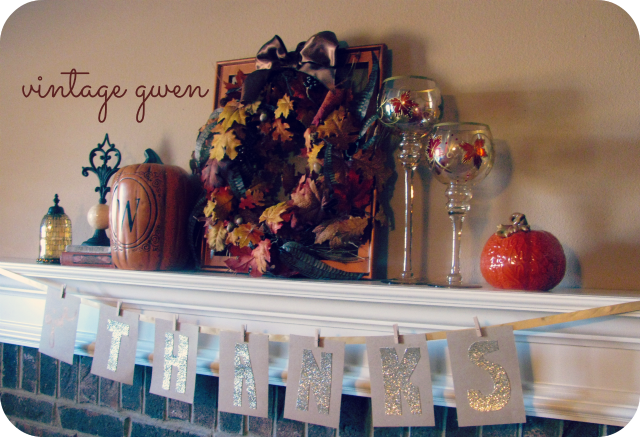 Today, she's giving us tips on how to decorate for Fall just in time for Thanksgiving next week! Fall is a dreary, grey time of year, with the leaves first putting on a glorious display, then sadly falling and turning into black oozing slime, slippery underfoot and unpleasant to the nose! 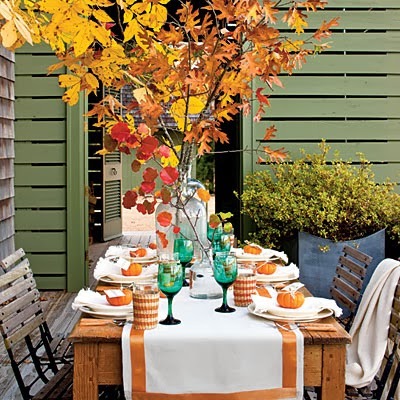 Make sure that your home is bursting with autumn charm this year, by switching out your summer décor for autumnal elegance and appeal. Fall is the time of year when we celebrate Harvest Festival, followed by the sweetly spooky delights of Halloween. Thanksgiving in the USA follows, reminding us all of everything that we should feel blessed about. Christmas arrives in the middle of winter, a burst of joy, goodwill and bonhomie to relieve the unrelenting chill and gloom of the season. 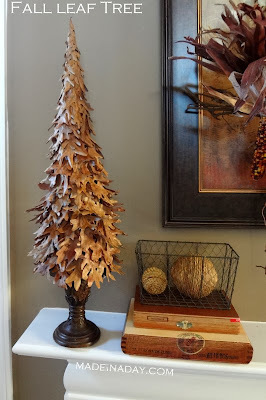 Allow each of these sub-seasons a place in your home décor, even if it means that you are changing decorations and ornaments every month or so! Harvest speaks of plentiful food and can be celebrated with laden fruit bowls or even an attractive cornucopia spilling its bounty over the sideboard or table. If the lurid orange of pumpkins, so prevalent for both Harvest Festival and Halloween does not appeal to you, purchase some of the elegant white pumpkins that are periodically seen in stores. If you are arty, you can pick out the pumpkin with silver elements, creating a surprising ethereal and delicate look, perfect for charming décor, while still acknowledging the bounty of nature! Make not one but several fall wreaths. The first should be packed with berries, seeds and leaves that have changed their colour early. Soaking the leaves in glycerine for a day or two will keep them in good condition for several months, so you will not have brown leaves withering away and ruining your décor. 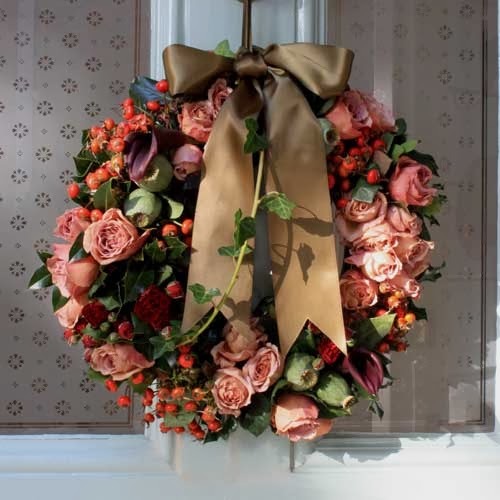 The second wreath should focus more on emphasizing the beauty of autumn leaves with little other ornamentation necessary. At this bleak time of year it is nice to commemorate togetherness, either as part of a large family or with a group of friends or even colleagues. Arrange your furniture so that everyone feels part of a large community, rather than permitting the gathering to break off into smaller cliques and sub-groups. Creating a large open eating space will ensure that everyone is brought together, to eat, talk and relax as equals. Treat yourself to some whimsical and delightful autumnal tablecloths and placemats to change the mood of the dining table – or make them yourself! Add touches of seasonal charm to accessories and ornaments, introducing a subtle acknowledgement of the positives of this changeable season. Choose your new odds and ends by deciding, before purchase, on the theme that you want for your autumn décor. Do you want simple yet stunning elegance? Or do you prefer a touch of whimsy that looks pretty and fresh? Once you have a theme in mind, you can set about finding or making the perfect accessories and products that will help you to achieve the desired look. Be sure and visit Jessica's blog for more decorating tips!! See that Truth in the Tinsel button to the right? Well it's that time of year again!! I'll be posting more about it on Friday but until then feel free to click through to find out more AND if you're ready to buy the Advent ebook then I have a discount code for you! Just use VINTAGEGWEN and get 20% off! 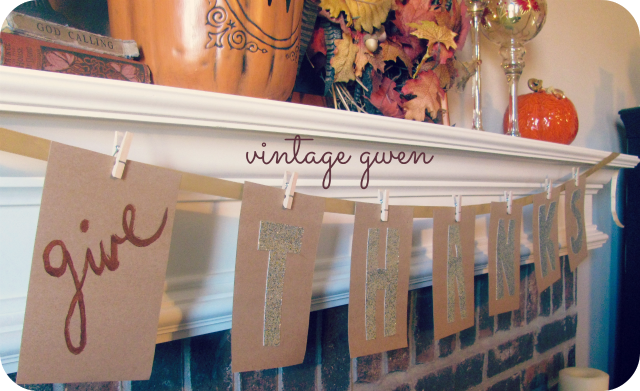 I gotta tell ya....I'm excited about my Give Thanks Banner! 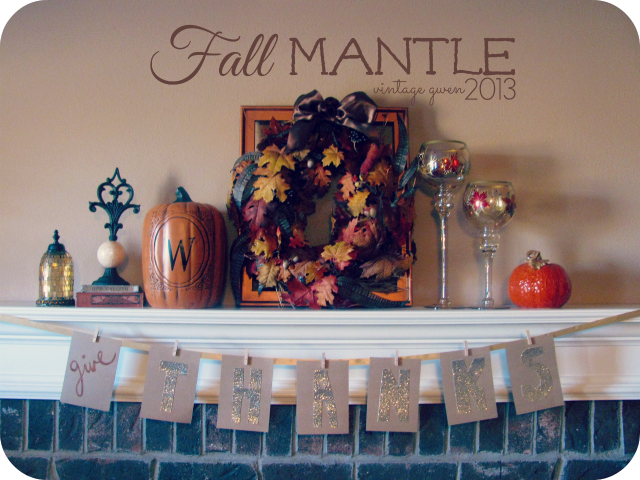 I switched out my mantle last week from Halloween to Thanksgiving (or Fall). I kept thinking "that mantle sure could use something else." So I knew I wanted to do some kind of banner and in a crafting magic moment whipped one out in about 20 minutes yesterday! Why yes I'm tooting my own horn! Why? Because I free handed my words! All I used for the banner was glitter scrapbook paper, well it was more like cardstock but it was 12x12, 4x6 blank notecards, paint, and mod podge. I drew the letters on the back of the glitter paper then cut out. Next, with pencil I wrote out 'give' and then went over it with a metallic brown paint. Glued on the letters and done! Had it all on hand too! And tiny clothespins are my way of cheating to hang banners! And besides the banner, there's no new decor....I just used all this in a new way! Not gonna lie....it makes me smile! How's your Thanksgiving decorating going? No features this week. Thanks to Pret-a-Vivre for your faithful support of this link party! And with that being said I'm wondering if I should continue with the party. I love the idea of giving a day for all of us to come together and share. But I also realize there are much bigger blogs with fabulous link parties. I'll think about it some more. Feel free to weigh in though! As always, thanks for being here!! 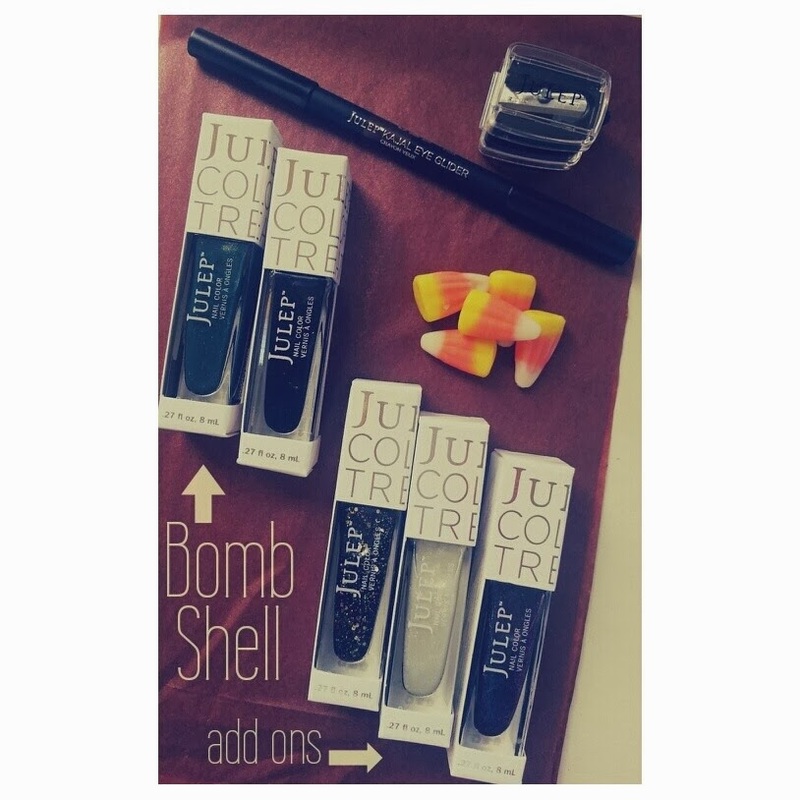 Well I'm a little late sharing my October Beauty Boxes! The end of October/first part of November is busy for us with Halloween and then Lil' Hunkie's birthday on the 3rd. Whew! This box had cool addons! Beatrix is a multi size glitter in black and gold, Casper is glow in the dark, and Ciara is a pretty magenta with teal micro glitter. All fun! I also got Cleopatra which is a black latex finish and it is cool as well! I haven't worn Valerie yet, it's a teal with iridescent micro glitter, but I will soon! And lastly, the beauty product was a kajal eyeliner which is great! I had to skip November's box because it just wasn't in the budget and really there was only one polish I was interested in that was an addon only. Well low and behold it was in the secret store so I was able to get the one thing I wanted! I'll share it on Instagram! So I have only used 2 of my Ipsy items...the brush and the mineral eyeshadow. The eyeshadow I really like, it's very pigmented and such a pretty color, I got the berry shade. So of course the other item I used was the brush! Which is a great brush! While I like Zoya, I feel like the Ruffian polish I got from Birchbox is pretty much the same color so I might be gifting it, we'll see. And both the Spray Clay and body lotion sound great, I'll have to bust them out soon! So again, I've only used 2 of these items! Honestly I am tired of getting sunscreen! I've got to go and updated my beauty profile! The Pop lip gloss is fun, it has a different applicator that I think is kinda cool...it's a paddle, no brush, no sponge. I tend to wear lip gloss over a lipstick and don't like getting a sponge or brush messed up. And then the perfume, Atelier Cologne in Orange Sanquine, was nice. Not sure if I'll use the other two items or not. 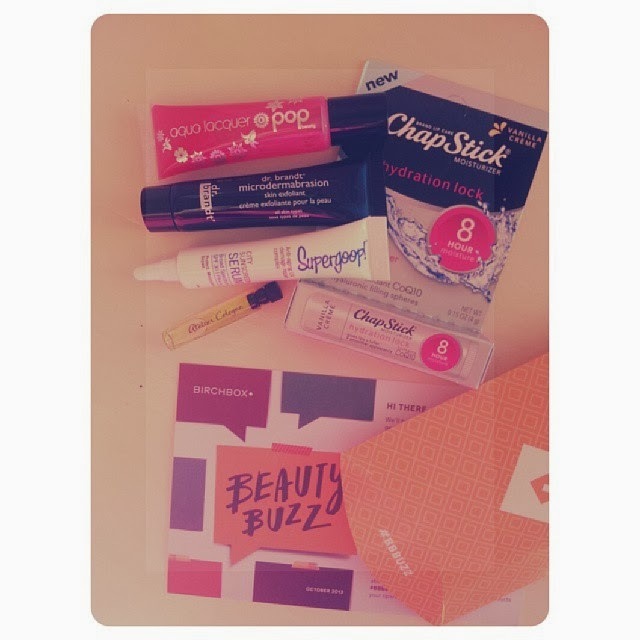 And I will use the chap stick when the current one I'm using is gone! 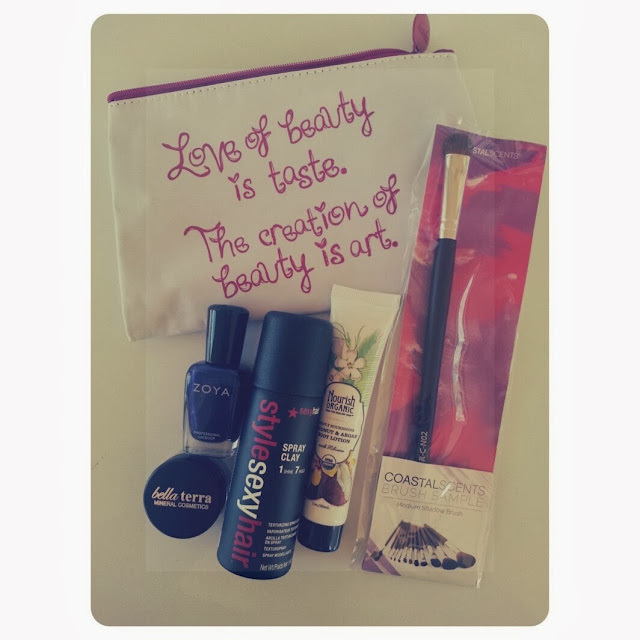 All in all, another fun month of beauty! Wanna sign up? Just click on the names!